Hi there! Sorry to keep you waiting! My trip to Vienna was awesome by the way :). We had lots of fun. Today, a book I picked up after reading One Perfect Summer. 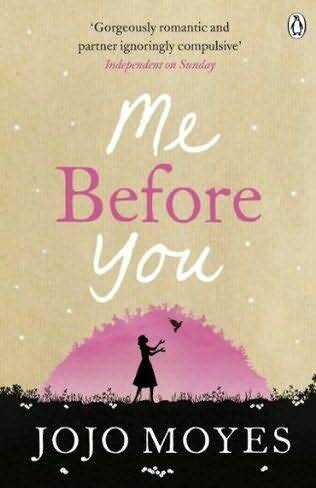 It is Me before You by Jojo Moyes. It is one of the most touching stories I’ve read since Before I die by Jenny Downham. And I think that says something about what a great story it was. I loved the story. It has everything it needs to keep you going: friendship, love, drama and so much more. I think of it as a mix between a Sarah Dessen and a Jenny Dawnham novel. So, if you like those authors: give this book a shot! p.s. Sorry this post is a bit short, but I’ve to continue studying for the test I’ve tomorrow.